A new icon is rising in the heart of Kuala Lumpur city and it looks set to take style, prestige and passion for design to an entirely new stratosphere. Tourism and Culture minister said he is proud the endeavour is by a Malaysin developer. The M101 SkyWheel project taking shape in the heart of the capital has already made waves with the promise the world’s highest positioned Ferris wheel and a mall-in-the-sky shopping experience, but now it is also making a stellar lifestyle proposition with its offer of 94 designer suites fashioned by Studio F.A Porsche – yes, the very same entity behind the iconic automotive marque. 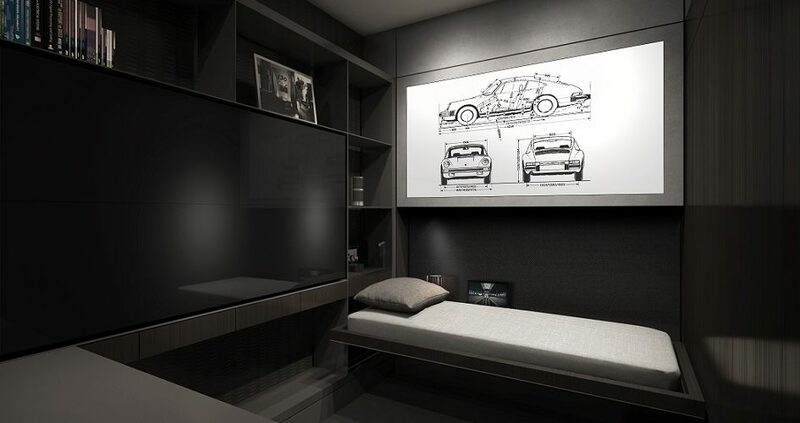 Unveiled last weekend, developer M101 Holdings Sdn Bhd said the limited and exclusive luxury serviced residences encapsulate the essence of Porsche and its devotion to elegance, functionality and purism. Housed at the apex of the 78-storey twin-towered structure, the suites will boast breath-taking views of the surrounding metropolis from over 300m above ground level. To complement this lofty vantage point, interior spaces offer truly unique lifestyle solutions with interactive (and transformative) spaces that challenge prevailing definitions. 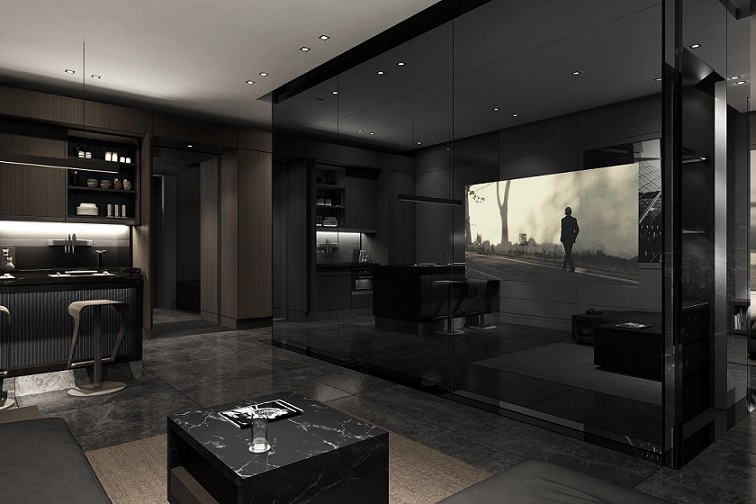 Completing the premium experience, M101 Holdings said the suites will also come fully furnished and be equipped with selected visuals, custom furniture and exclusive products. 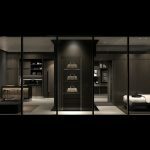 These luxury units will be available in three layouts: the 1,018sq ft two-bedroom suite, the 909sq ft one-plus-one suite, and the 879sq ft one-plus-one suite. (From right) Dato’ Seri Mohamed Nazri bin Abdul Aziz,, Dato’ Seth Yap and Mr Roland Heiler officially launching the suites. Residents will enjoy access to infinity pool, gym and sauna facilities set against a city skyline backdrop on the 78th floor. 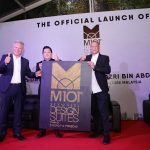 Speaking at the unveiling event at the M101 Sales Gallery on Jalan Yap Kwan Seng, M101 Holdings chief executive officer Datuk Seth Yap said the designer suites are in line with the project’s goal to be an iconic product of international standards, with international brand recognition. “Where global brands and iconic design is concerned, you will find it hard to top Studio F.A Porsche and the remarkable legacy it represents,” Yap said. “This is fitting, because SkyWheel will share the same space in the skyline as existing global icons such as the Petronas Twin Towers, and we are determined to deliver a product that is worthy of that position,” he added. Living room with KLCC view. Yap also pointed out that the project in its entirety serves to enhance KL’s stature on the global map, and it was envisioned to lure tourists the way outstanding properties have proven they can the world over. It as an outlook he referred to as “property tourism”. There are a number of virtues behind the development that serve this purpose. For example, the “Sky Ferris Wheel” on the 52nd floor offers the world’s highest vantage point for a structure of its kind, offering a cityscape view from 220m above ground. 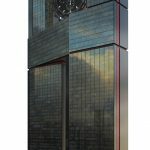 The floating retail podium that bridges the two towers also presents a unique opportunity to dine and shop in the heavens, said Yap. Extending from the 50th to 52nd floor, it features 200,000sq ft of retail space with diverse set of retail and F&B offerings. 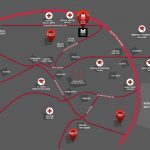 It also is conveniently accessible to Klang Valley denizens thanks to an MRT station located at the doorstep. In the future, the project will also house the first Asia Planet Hollywood Hotel in the region. 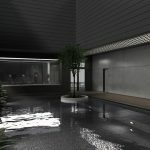 Importantly, Yap said the project’s main element of prestige comes from the fact that it will be the first integrated development in the world to lay claim that it was designed by the renowned Studio F.A. Porsche. Explaining its keenness to be a part of this project, Studio F.A. Porsche’ managing director Roland Heiler said his company is, in fact, very selective about whom it chooses to work with. In M101 Holdings, it found a company that shared the same values it cherished. “There was also a great opportunity here to get involved with Kuala Lumpur, which is internationally recognised as one of the big Asian hubs. The name KL, to us, also holds a very modern and exotic touch, which we find extremely appealing,” Heiler said. He said the Porsche brand not only represents heritage, but also remarkable design that holds timeless appeal, which is evidenced in its automotive legacy. Timeless appeal, he said, comes from not just looking good, but also holding value by functioning well – employing materials that transcends time in terms of value and appeal. “This is the DNA we carry in everything that we design. This is what you can expect from the M101 SkyWheel Design Suites,” Heiler added. 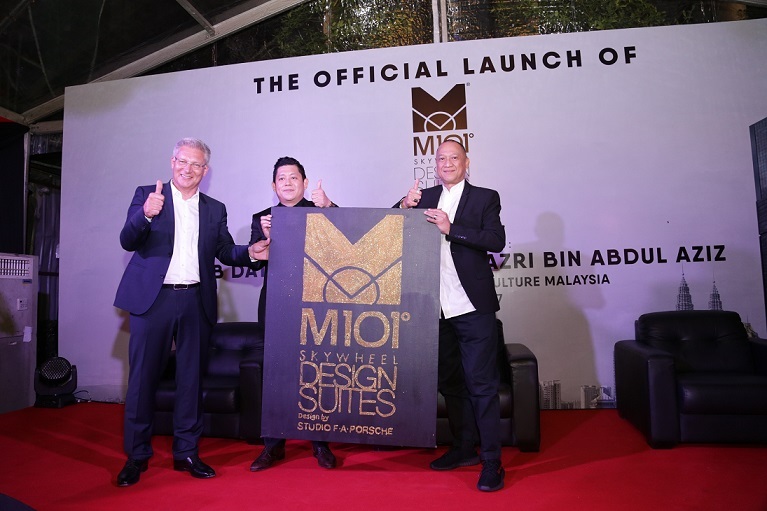 Officiating the launch of the suites as guest of honour was the Minister of Tourism and Culture Datuk Seri Mohamed Nazri Abdul Aziz who said the globalisation of the Malaysian property sector was expanding the country’s appeal to an international audience. 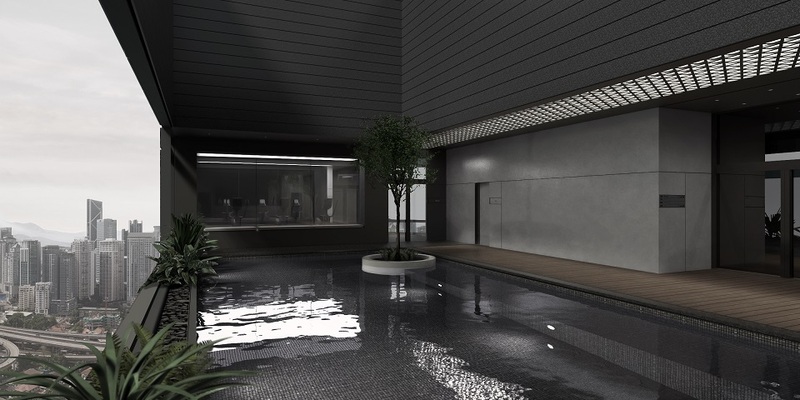 Residents will enjoy access to infinity pool, gym and sauna facilities set against a city skyline. “While many other developers are now focusing on bread and butter products, M101 has taken a brave step to champion property tourism. 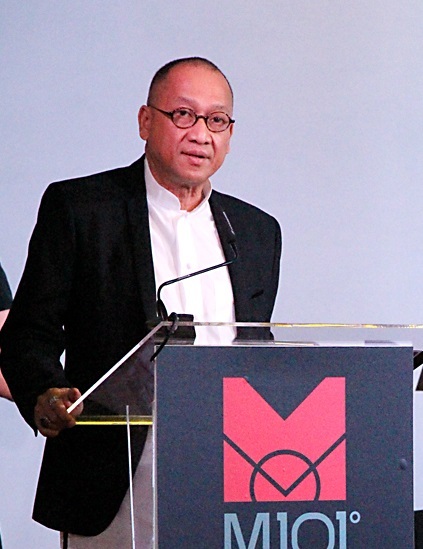 This project is a definite ‘crowd puller’ and I am very proud that such a prestigious endeavour is being brought to life by a Malaysian developer,” Nazri said. When fully completed in 2020, the RM1.8 billion M101 SkyWheel project will play host to SoHos, luxury designer suites, a shopping mall and the Planet Hollywood Hotel, creating an unprecedented lifestyle ecosystem for those who dwell within and providing an exciting destination for international and local tourist alike. Taking shape along the periphery of Kampung Bharu at the heart of the city, it is also expected to catalyse the rejuvenation of the vicinity and provide a marked socio-economic boost for the surrounding community.